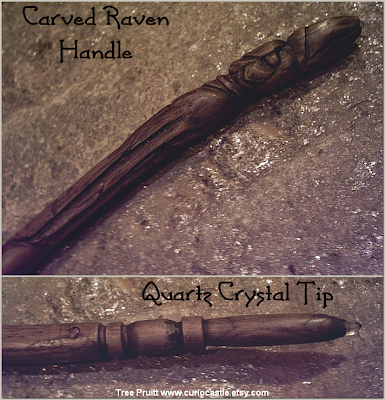 Just as the New Moon for this month ended I finished making this carved raven magic wand. I'm pleased with the results, so couldn't wait to show it! Below is a photo showing both the raven head and the "projection" end, with crystal. This wand was inspired by the ancient North American Adena and Hopewell mound builder cultures from the area of my birth, and I do think my Appalachian roots come through in the style. After carving and smoothing this raven head wand, I mixed a special black stain that soaked into the grain, adding a quick drying resin for oil paint. The surface is much more smooth than it looks in the picture, probably because of that grain contrast. The black color is deeper in the cracks and grain and the entire piece has a satin sheen. The projection end is topped with a tiny clear quartz crystal point, from the American Southwest. Just past the hand turned lines is a polished amethyst stone embedded in a natural knot. This wand is made from a somewhat special ash wood. The mother tree lost a large portion during a rare hurricane, where the powerful winds reached all the way up to Ohio! My husband and myself worked in a happy spiritual frame of mind (grateful to have escaped greater damage) to harvest the branches before they touched the ground. Thankfully the mother tree recovered; I'd watched it grow it's entire life! 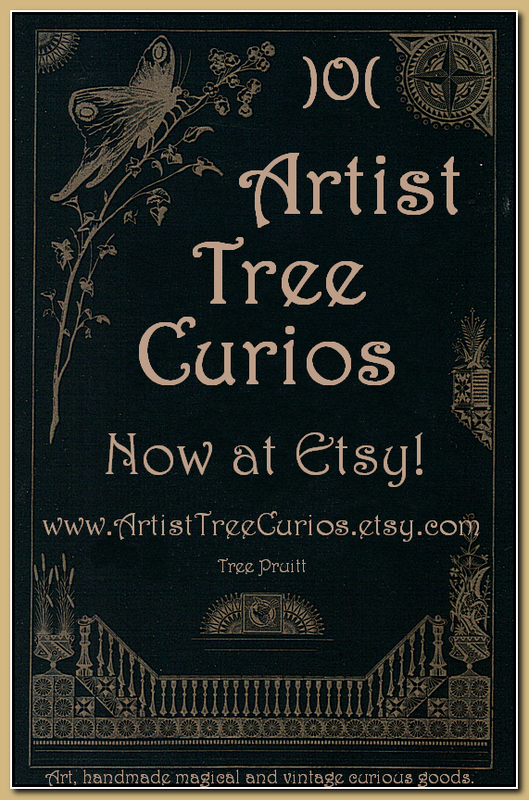 The work was done right at the peak of a Full Moon to top off the special natural energy in the wands and staffs made from this tree. There may be other wands of ash wood, but no others quite like these! * Blank Ash Wand Staves are available.